DPRK Information Strategy—Does It Exist? nation by the year 2000 and to industrialize the production of IC chips. The plant itself was delivered to DPRK over the period June 1983-October 1986, and was installed in a building constructed by October 1986. The plant was transferred to the DPRK government in December of 1986. As is often the case in the DPRK, the building was not suitable for its end use, being made of masonry and rough plaster that created dust inimical to the production process of the plant. In addition, most of the electrical wiring, paint, windows, and fixtures were unsuitable for the facility, and the power supply for the plant proved to be highly unstable with severe voltage spikes. 1.2 Commercial Software or Industrial Modernization? In the mid-eighties, the DPRK established the Pyongyang Informatics Center (PIC)—one of seven key institutions known today to work in the software sector in the DPRK. 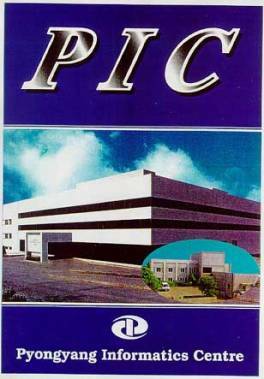 The PIC was described as a “computer systems development and training center” which would establish an Information, Planning, Analysis and Management Group (IPAMG) that in turn would develop computer-based modern management techniques. 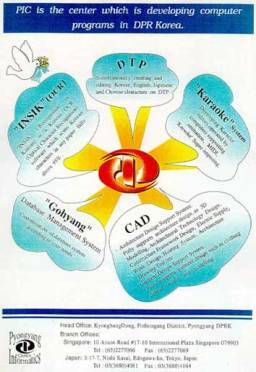 PIC was also to create a Computer Group that would: promote use of computers by DPRK government and industries; act as a “technology transfer” funnel or vehicle into the DRPK; train personnel in applying computers in government and industry; and develop software engineering and computer systems to be applied in industry. In phase one, management training combined with computerized support systems were to be delivered in the textiles, coal, and heavy machinery sectors. Specifically, the targeted entities were Pyongyang Textile Combine, Taean Heavy Machine complex, and Anju Coal Mine. In phase two, the steel and cement industries were next in line. Architecture Design Support System; Fully supports architecture design, as 3D modeling, architectural technology design, construction framework design, electric supply work design, heating system, architecture drawing test, etc. Anyone who has traveled or worked in the DPRK having lived in the informational hyper-velocity and hyper-saturated world of the hyper-linked Internet, let alone the Enabled Internet or the Extended, Enabled Internet, will be feeling distinctly surreal at the thought of a networked North Korea. The grim realities of surveillance, vertical compartmentalization, opacity, dismal telecommunications connectivity, and poverty are not characteristics of a highly networked society by international standards. Moreover, it’s hard to imagine an enabled or extended Internet in the DPRK where the material economy has almost disintegrated. 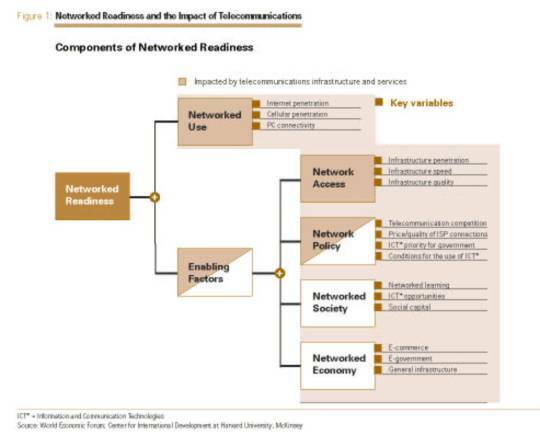 In a systematic accounting of national networked readiness (see Figure 1), the DPRK does not even appear (the ROK is ranked twentieth globally on the combined index of network use and enabling factors, and fifteenth and twenty-fifth with regard to these two indices respectively). DPRK Internet-cellular penetration are close to zero, as is PC connectivity, so network use is close to zero. Network access is almost zero due to lack of infrastructure, and slow speed and poor quality where connectivity exists. The factors that constitute a favorable network policy are systematically absent in the DPRK. The networked economy is similarly notable for the few tiny exceptions noted above. Only in the networked society factor does the DPRK have a slight enabling capacity—there is some social capital in the learning centers of the various academies and institutes, some nascent networked learning opportunities (linked databases, the computer learning room at the People’s Grand Study Hall, and some limited ICT hardware and software production capabilities. Source: S. Beardsley et al, “Telecommunications Sector Reform—A Prerequisite for Networked Readiness,” in G. Kirkman et al, “The Networked Readiness Index: Measuring the Preparedness of Nations for the Networked World,” in The Global Information Technology Report, Readiness for the Networked World, 2001-2002, Oxford University Press, New York, 2002, p. 119. Nonetheless, early indicators may be observed that an electronic or e-DPRK is emerging. Cell phone signals can be picked up in Pyongyang. Kim Jong Il surfs the Blue House web site regularly. European NGOs are allowed to use satellite phones. An Internet Café opens in Pyongyang. North Koreans say that a new email service is opening shortly in Pyongyang (land lines to servers in China have been used for email/Internet access for some years after the DPRK shut down the few satellite phone links to international agencies). Reportedly, users will pay $500 per year to send email out, and another $500 to receive email (!). North Koreans serving international organizations around the world are now emailable on hotmail. A selective list of such indicators of change are provided in Table 2 (excerpted from the excellent coverage provided at http://www.vuw.ac.nz/~caplabtb/dprk/august02). 3) Opening access to social networks. 2.1 Niche Networks: Here, I refer to the need to provide networked communications and information support to the high value development opportunities in the DPRK in the early phase of economic transition but before full-scale structural adjustment. 2.1.1 Establishment of labor-intensive, information-intensive businesses in the DPRK. However, it is highly improbable that such a strategy would lead to a “leap-frogging” knowledge sector in the DPRK. It would work quickly precisely because it can be implemented at a micro-economic level without achieving backward and forward linkages to the rest of the economy. A knowledge sector implies fundamental and applied research and development capacities that are integrated into all sectors of the economy and are embedded in global networks of excellence. Clearly, the DPRK lacks the networked readiness--the enabling factors as well as the network use—that would support a knowledge sector in the DPRK. It will take decades not years for the DPRK intellectual sector to recover from the half century of almost complete isolation from universal science and applied technological development in domestic and multinational industry; and for reconstituted DPRK fundamental and applied R&D capacities to articulate with a market economy. As the DPRK shifts from the extraordinarily centralized, politicized and personalized decision-making system embodied in Kim Jong Il and the party apparatus to a legal-bureaucratic planning and policy-making system reporting to the Prime Minister’s office, the conceptual framework and software systems that support decision-making will be crucial to outcomes. The risk is that the old physical input-output modeling with associated top-bottom physical databases will remain the basis of decision-making and resource allocation whereas what is needed are price-based models that simulate the behavior of proto-markets as state enterprises are forced into competition with each other instead of running vertically and horizontally integrated monopolies. The availability of computing power, copious information, and central planning software (as was advertised at the Beijing software expo) is no substitute for the decentralized decision-making by millions of people who optimize their own decisions faced with price signals in local markets. What is needed more than central planning is communication of prices, especially differential prices, so that local consumers and producers can make well-informed and timely decisions of their own in markets. Relatedly, starting up local markets is the prerequisite for the existence of such price data without which communications infrastructure is meaningless in the DPRK. The other software activities are: Academy of Sciences; Korea Computer Center; Silver Star (Unbyol) Laboratories; Kim Il Sung University; Kim Chaek University of Technology; Pyongyang Computer Technology University. See Asian Technology Information Program (ATIP), Computer Software R&D in North Korea, ATIP report 02.023, June 5, 2002, at www.atip.or.jp (commercial service). An earlier and free version is Information Technology (IT) in Korea --South and North, ATIP97.060, July 1997, at http://atip.org/ATIP/public/atip.reports.97/atip-97-060-ext-03.html, See also the pro-DPRK website http://www.korea-np.co.jp/pk/ for other details of these organizations released to promote their wares. This web site states that PIC was set up in 1986, whereas in the early nineties, the DPRK told the UNDP that it was set up in 1989. See A. Mansourov and A. Matsegora, Telecommunications Sector in the Democratic People’s Republic of Korea (DPRK), mimeo report to East West Center, April 1999.